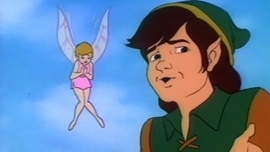 As the second video of this year’s Zelda Month, YouTuber PeanutButterGamer filmed a video of commentary over the original Zelda cartoons from the 80’s. These are known for their overall terrible-ness and some famous quotes like “Excuuusssee me, princess!“. PBG does a special Zelda Month feature every year, where he makes 4 videos about the Zelda series over the month of November. This year, he’s made one other video so far, where he hacks Ocarina of Time in various hilarious ways. What do you guys think? What videos are you hoping from PBG from the rest of November? Let us know in the comments!